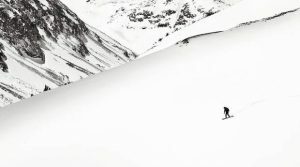 A young runner eyes a line through the "Woodward Mountains," one of 10 features in the brand-new Wrecktangle at the base of Copper Mountain. The obstacle course is open to kids and adults all summer long and costs as little as $15 for two laps through rope swings, ziplines and more. Wrecktangle runners must be at least 36 inches tall, 5 years old or older, and between 40 and 250 pounds. 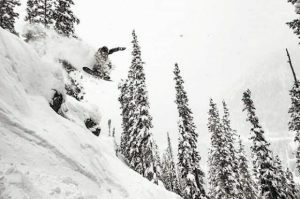 Tickets range from $15 for a two-run pass to $249 for a season pass, with full-day and punch pass options available. To purchase, visit the Woodward Copper Cage in Center Village, call the ticket office at 970-441-9024 or visit WoodwardCopper.com. Young Ethan Steinfeld took just one lap through the Wrecktangle before rain temporarily closed the enormous metal box at the base of Copper Mountain. But man, what a lap. On a humid Friday afternoon in July — the first day of rain in what seemed like months and a welcome respite from hot, dry and windy conditions for crews just miles away battling a wildfire near Breckenridge — Ethan and his twin brother, Mason, we’re spending their final day in Colorado playing ninja in the Woodward Wrecktangle: a metallic rectangle (get it?) some 200 feet long and nearly 20 feet high, packed to the brim with nets, rope swings, suspended platforms, ziplines and a towering quarterpipe wall, all designed to trip up young monkeys like the Steinfeld twins. “It was fun,” Ethan said with a big (if shy) smile. The 10-and-a-half-year-old native of Austin, Texas didn’t even fall once, he said with pride, but that didn’t exactly mean his lap through the Wrecktangle was easy. And he’s not even a newbie to obstacle courses: A year or two ago, he spent more than an hour crawling and swinging through a wooden course outside of Mount Rushmore. For Ethan — and the folks who built the metallic monstrosity in Center Village — the toughest of the Wrecktangle’s 10 features was a collection of long, lean, yellow boards with asymmetrical holds. Dubbed the “cheese slices,” the boards hover in mid-air, accordion-style, where they constantly bang and clang and shift as challengers navigate the course. While Ethan picked through the Wrecktangle, Mason waited patiently on the cobblestones and bright-green turf pads outside, scanning the features to figure out his own way through the maze. Twins can’t do everything the exact same, after all. Mason never got a chance to one-up his brother. Just before the self-proclaimed climber of jungle gyms, trees and everything in between was ready to enter the course, the rain appeared and forced staff to shut down until the clouds passed. He was disappointed — even though twins might not do things the same, they still have to do the same things — but he wasn’t ready to give up on the Wrecktangle. “I want to try,” Mason said just moments before his parents, Sandi and Peter, turned their backs and he started climbing the outside of the Wrecktangle. It didn’t last long — climbing the outside struts and supports isn’t allowed, and a staff member told him so — but sometimes, a ninja-in-training needs to practice when and where he can. Found next to Big Island Park — the only public summer snow park in Colorado, built from the bones of the Main Vein superpipe — the Wrecktangle looks just as wild and unearthly as enormous mounds of snow in the heat of July. It brings to mind the popular “Ninja Warrior” TV show, only on a smaller and more manageable scale. The Copper Wrecktangle debuted earlier this summer and is scheduled to remain open daily until the end of August (weather depending, of course). It’s the first of its kind that Woodward has ever built, Stellato said, but it most likely won’t be the last. This concept adds a whole new level of competition to the Wrecktangle, Stellato said. 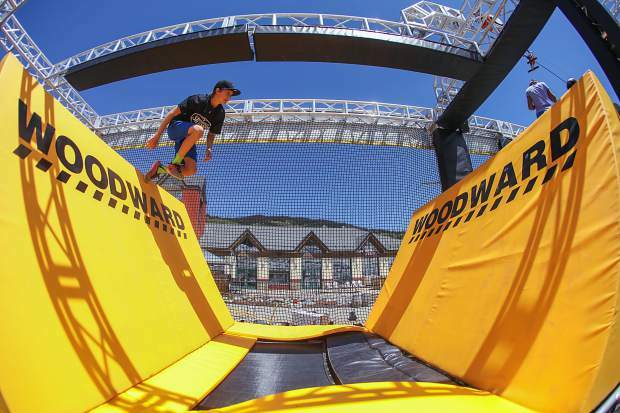 When the course debuts at other Woodward properties, challengers can see how their times stack up against peers in Pennsylvania, California and Lake Tahoe. From 10-11 a.m. every day, folks who are serious about obstacle racing get solo access to the course for timed laps. All of the features are interchangeable, but Stellato said the real appeal is going head-to-head against people hundreds of miles away. After the early-morning solo sessions, dubbed “trials mode,” the Wrecktangle opens up from 11 a.m. to 3 p.m. for “practice mode” with up to 10 people at a time on the course. The end of the day, from 3 p.m. to 5 p.m. or 7 p.m. on Saturdays, is an open session for up to 25 people. That’s the perfect time for parents to join their kids on the course, Stellato said, because the Wrecktangle is far from a kids-only distraction. It’s open to anyone and everyone, from 5 to 105 years old. Even the Woodward staff has started hosting. Including Mason. When the clouds parted a little before 4 p.m., the climbing twin got a taste of the Wrecktangle. And you’d better believe he will be back.